Procter Automotive is happy to be a reliable and friendly provider of oil changes in Abilene and a variety of other automotive services. Our experienced and certified technicians are experienced in both repairs and routine car maintenance for a wide variety of foreign and domestic cars and trucks. Oil changes may be a basic service, but it is essential that they are performed thoroughly and responsibly. Even minor oil leaks can cause long-term damage. Do not trust your treasured vehicle to the quickie shop on the corner. Procter Automotive will handle all your automotive needs with conscientious care, from major engine repairs to oil changes and everything in between. A tune up is typically performed at a specified maintenance interval, but exactly what is needed varies based on your vehicle make, model, and year. For older vehicles, this may include replacing spark plugs, adjustments to ignition components, and filter changes. Newer vehicles, with sophisticated and often sealed electronic systems, have vastly different requirements. Components do not need to be replaced as often, and many adjustments are now performed automatically and continuously by the vehicle’s onboard computer systems. If you have any questions about what is recommended for your vehicle and what the estimated cost will be, feel free to give us at Procter Automotive a call. Our decades of experience in auto repair allow us to service cars from classic to cutting edge with confidence. Procter Automotive is open for auto service including an oil change, brake repair, check engine light, transmission repair, clutch replacement and more at 1325 Butternut St. in Abilene, Texas. We are open from 7:30 a.m. to 5:30 p.m., Monday through Friday. Give us a call during our business hours to discuss your service needs and set up an appointment for quick service. Prefer to schedule online? We have you covered. Click on “Schedule Service”. Select an appointment date, indicate the time, give your vehicle’s information, and provide a description of the service you are requesting or the issue you are having with your vehicle. We will contact you to confirm your selected appointment time, or suggest alternative dates if necessary. 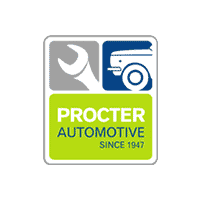 Whether you need a simple tune-up or extensive repairs, Procter Automotive has you covered.